The Chief is gone… so… what’s next? We thought about a boat. But we’re not ready yet. We thought about backpacking around the world on a shoestring budget but it wasn’t as glamorous in person as we expected. In fact, it can be kind of awful sometimes. So we have decided to get back to doing what was fun but update our arrangement. We’re going to try a Van / Travel Trailer combo. After some back and forth, we agreed on a budget. 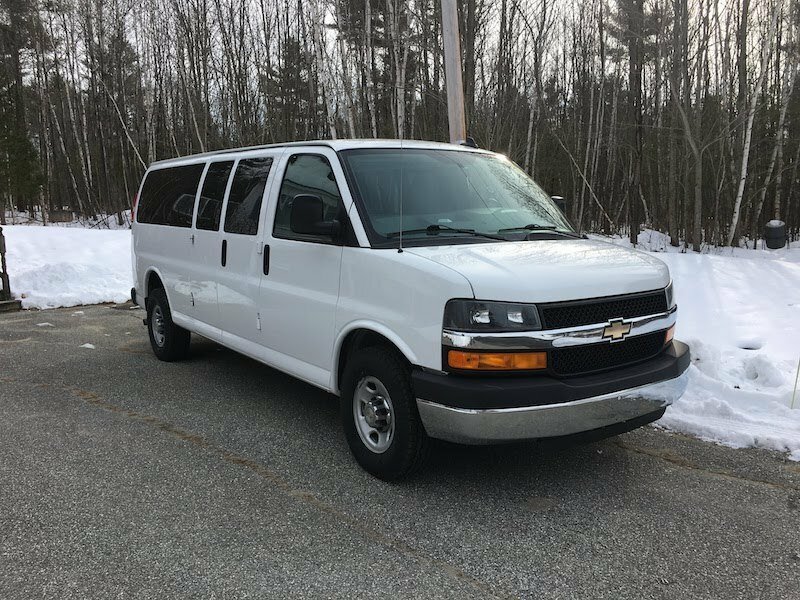 After searching for months, we found a great deal on a 2016 Chevy Express 3500 Passenger Van that had just under 50K miles. Nothing says adventure like a blank canvas. I (Scott) flew down to Texas on a Saturday, took a taxi to the dealer, checked out the van, did paperwork and was hauling north by 4:30 pm. I’m not completely crazy. We also had a local Chevy dealer check out the van prior to agreeing to fly to Texas. 2016 Chevy Express – Future Rolling Office. The big features we looked for were the tow capacity and the motor. This 3500 is rated to tow 9600 lbs. While we plan to get a smaller Travel Trailer (still looking) we want to have plenty of tow capacity and safety margin. Our plan is to keep enough seating for eight passengers. It’s fun to travel together when we’re rolling with the whole family. I’m going to turn the back to an office/ extra bed. One of the challenges with living this nomadic lifestyle and still having to work is finding a nice private/quiet space for me. The van will give me a separate space to work – a mobile man cave. I’m planning to document my progress here on the blog. Just before that part of the song, they sing “…standin’ on a corner in Winslow, Arizona”. 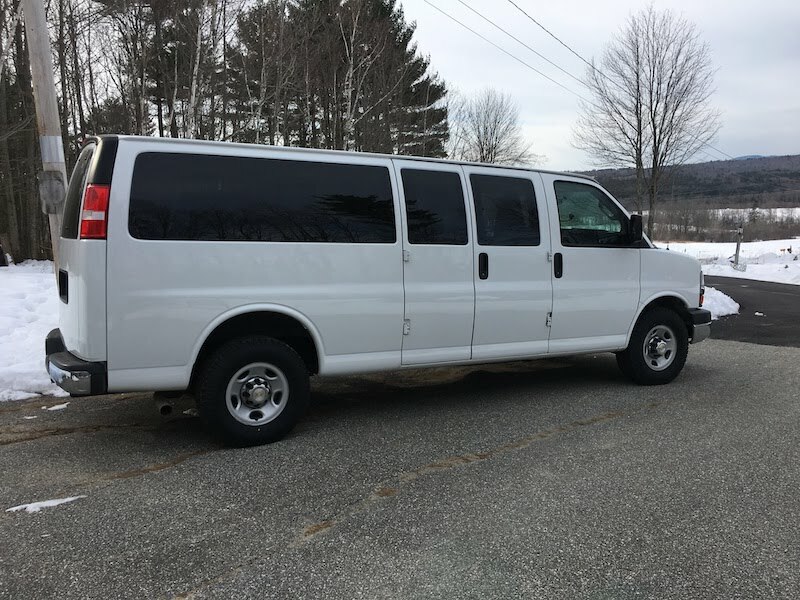 Introducing Winslow, The Van. Here’s to making new memories and spending our time together wisely.